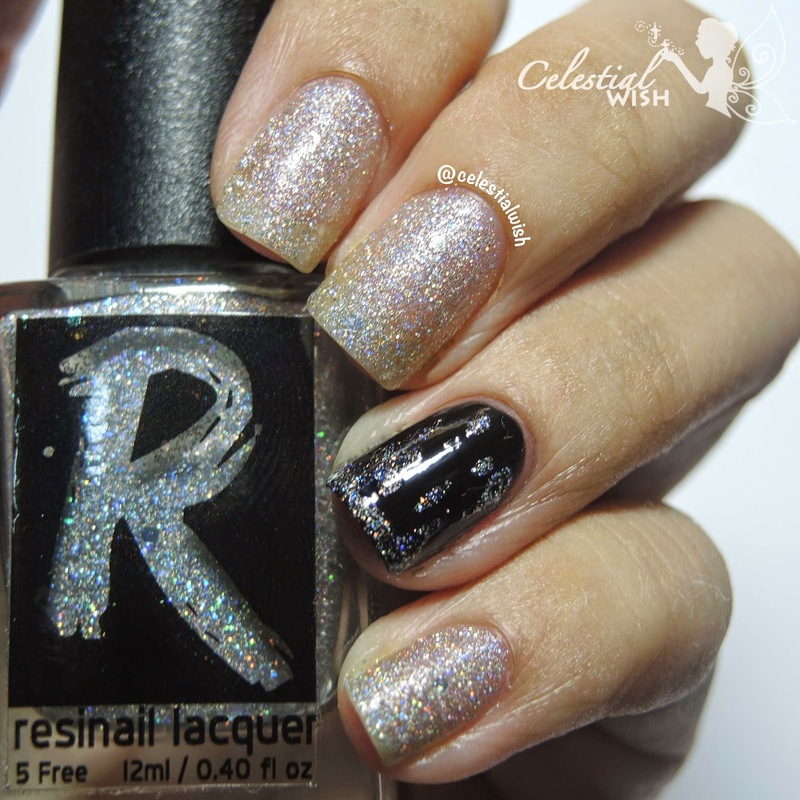 Here is a review of a fairly new Australian indie polish brand to me, Resinail Lacquer. I was delighted to be able to help the lovely Michelle with the review of her gorgeous looking polishes! Michelle's handmade 5-free polishes (Toluene, Formaldehyde, TSF resin, Camphor and DBP free). 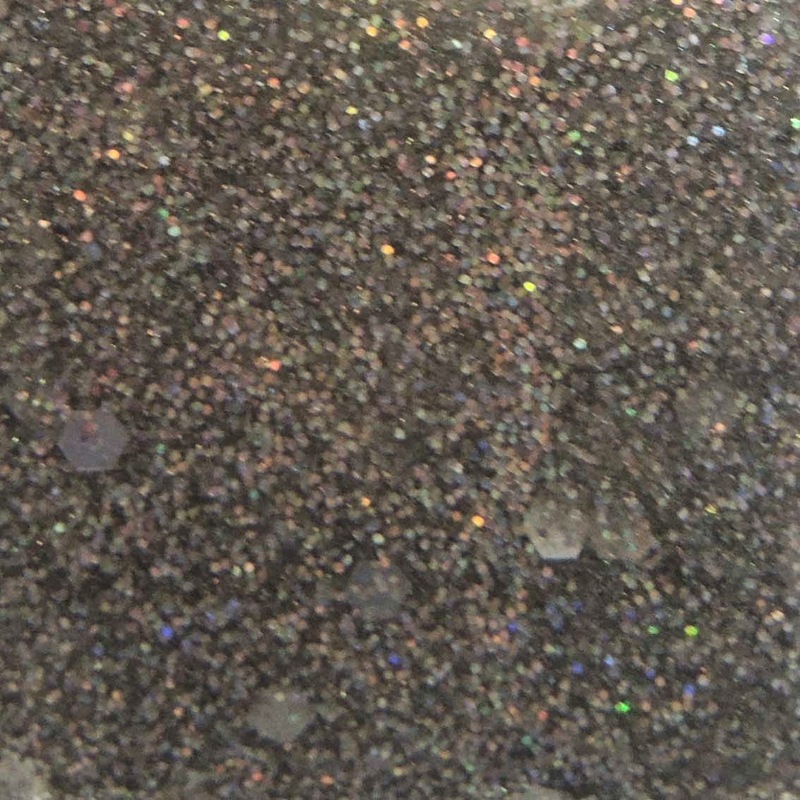 She uses high quality suspension base, tinters, pigments, and solvent resistant glitter for her products. She also sells various nail care products such as cuticle oil for purchase. Firstly, it is a gorgeous silver mini glitter polish with a larger hexagons in them. It is called Urban Glitz. These are some swatches of this gorgeous polish! Urban Glitz is only going for $8.00 AUD per 12ml bottle. Do add them to you cart if you would like! Next, I have a purple polish with strong linear holographic in it. It is called Fizzy Grape. Fizzy Grape is retailing at $10.00 AUD per 12ml bottle. They are curently sold out on her site, however there are always chances of restock to grab this beauty! For the brush, Resinail Lacquer has opted for a wide bush for easy application! Doesn't a good and wide brush makes the application process so much less tedious? Lesser chances of clean-ups too! As of now, Resinail Lacquer only ships in Australia. 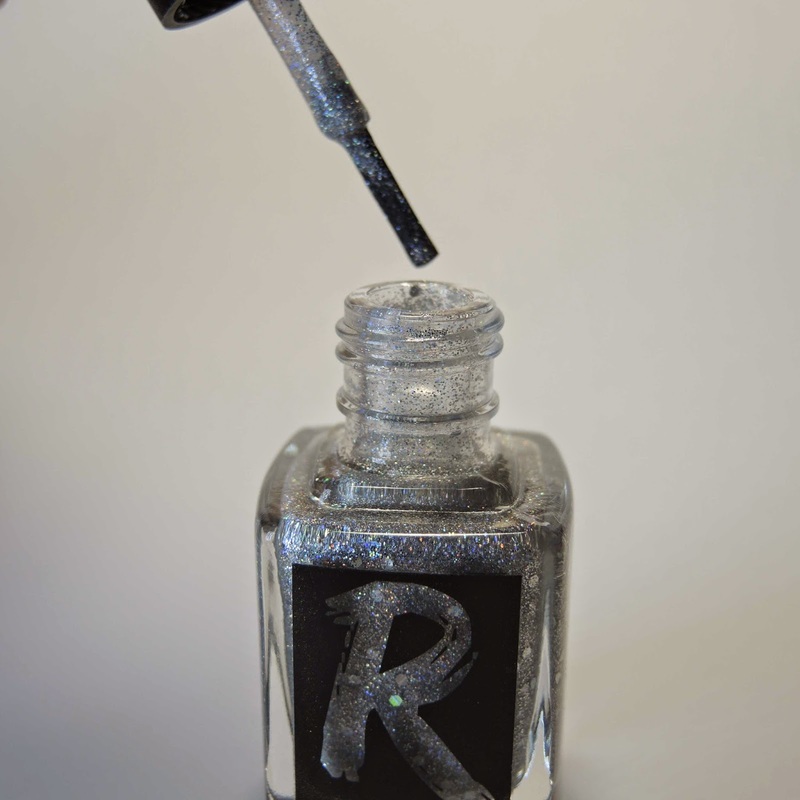 However, I believe that Resinail Lacquer will be available for international purchase in a matter of time! Show her your support by following her on her various sites (Facebook, Twitter, Instagram) to let her know that there are many international fans of Resinail Lacquer.